Just wondering, since I've raised goats a long time myself, how the other goats reacted to the newcomer? Usually that's kind of hairy in the beginning. Good for Daisy! 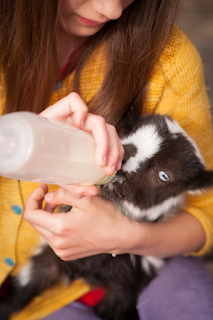 We had a goat that was raised as a bottle baby. She was like having a poison ivy eating dog! Be blessed and well in Jesus' Name! Daisy is a good goat-kid mom.